Worst epic fail of her scientific career? Falling for a cyborg she helped create. Kyra Winters never meant for her cyber science discoveries to be used for evil, but that's exactly what happened. 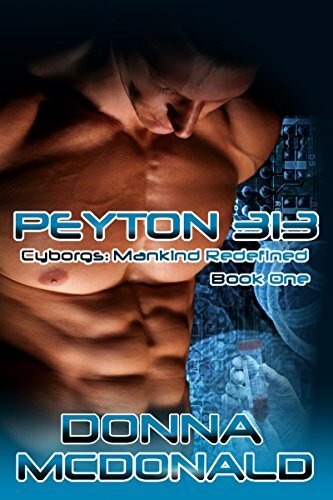 Now returning Peyton 313's humanity is the last chance she'll ever have to atone. She can't get back the lost decade, but she can change the present by restoring the cyborg who was once Marine Captain Peyton Elliot. Certainly her grand plan for rectifying her mistakes didn't include madly kissing the confused, passionate Marine when he begged her to. The same scientific mind that constructed the cyborg creator code now warned her not to let Peyton's tempting offers of heaven cloud her rational decision making. Yet it's difficult to resist the cyborg she's restoring when he's also the most intriguing man she's ever known.